Whether you’re using your Nissan van as a trader or just for your general day-to-day run-around, it’s important to consider what insurance policy will meet your needs. From couriers to painters, finding the right insurance policy for your Nissan van could help you to find a competitive quote, and could minimise the impact any theft or accident has on your business in the future, by ensuring you have the right cover in place. So what do you need to know about van insurance? 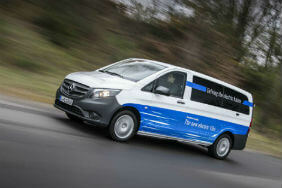 Van insurance premiums are calculated differently to regular car insurance policies. Standard cars are allocated insurance groups by the ABI (Association of British Insurers), which may be used as an indicator for insurance costs. 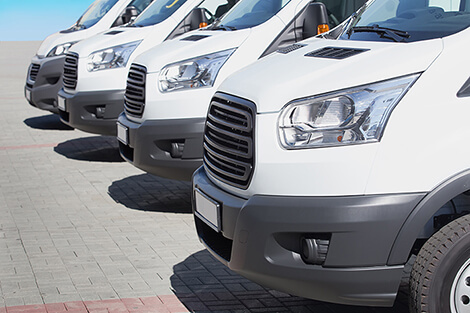 Vans and other commercial vehicles can be recommended insurance groups, but insurers will often calculate premiums based on the specifications of the van itself, as well as details about you and your driving history. Nissan's range of commercial vehicles fall into a broad range of categories, from vans to flatbed trucks, so knowing what details about your vehicle will affect your insurance premium is an important first step. Nissan's range of vehicles will often come with a further range of options, including engine size, seating capacity, safety features and much more, which many insurers will use to calculate insurance prices. Below you’ll find some of the key models and features in Nissan’s current commercial vehicle range. You could use these to consider what model might suit you and your business best, as well as how its stats and range of extras may impact your insurance premium. *Information sourced from the official Nissan website and Parkers.co.uk. Motor insurance policy prices are influenced by a variety of factors based on you, your driving history and your vehicle, making them very difficult to predict, though you can expect larger, heavier commercial vehicles with larger, more powerful engines, more seats or higher maximum payloads to increase your insurance premium. This is why it is important to consider the cost of your van insurance before purchasing your business van. You might also be interested in some of our articles and guides on commercial vehicle insurance, such as saving money on van insurance. Nissan has been one of the world’s largest vehicle producers since its formation in 1933, when various shared subsidiary companies came together under one name. Since then the company has grown to become one of the biggest motoring names in Japan and around the world. They have manufacturing operations on 6 continents, and with global sales figures that have grown steadily over the past decade to nearly 5 million units in 2012, the company looks set to maintain its status as a world-leading car manufacturer. Their commercial vehicles are renowned for their practicality, along with their innovative and practical designs, which include single cab vans with 13 separate storage spaces (NV200), pickups and flatbed trucks. Let Confused.com help you find our best policy and price for your Nissan van – just complete our simple form and we can compare our panel of providers, and send our best quote to you in minutes. The DVLA website has some useful tools for finding out important information about your vehicle, such as potential tax brackets.